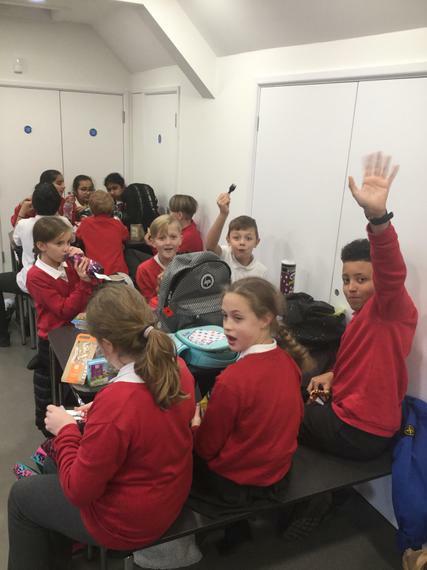 Welcome to Year 6's Class Webpage! 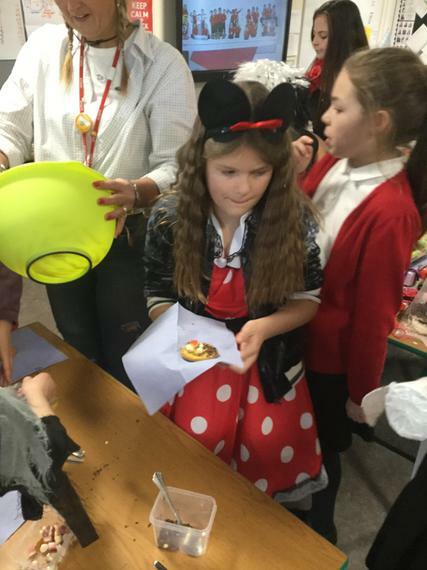 Lining up in 2 lines - girls and boys! 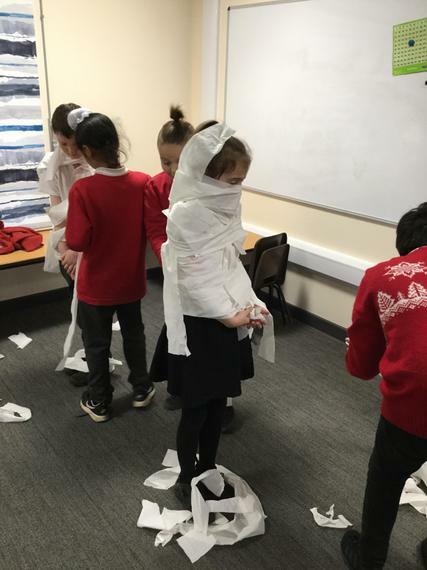 In the classroom, there was no heating! 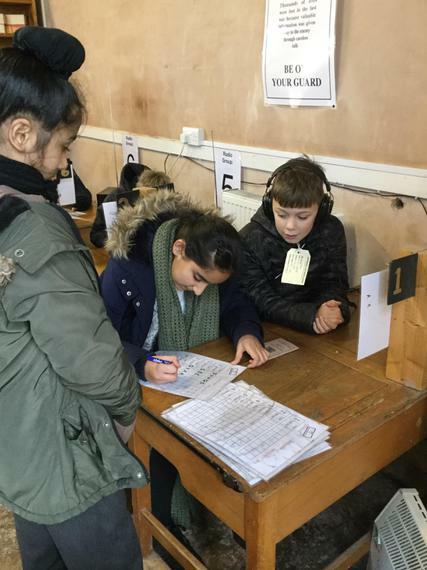 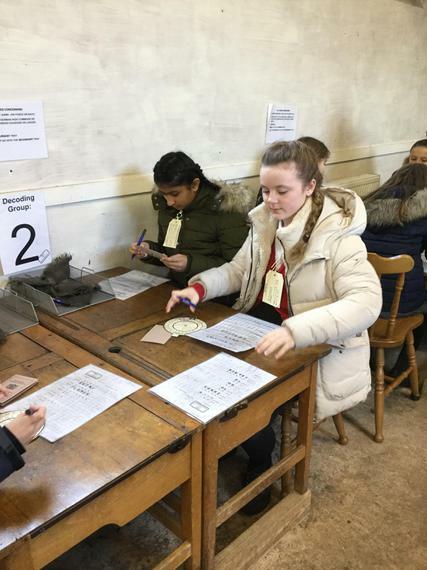 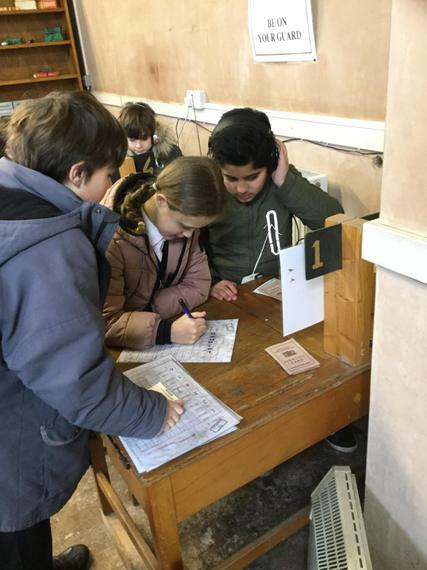 We had to: complete official ID cards; write a postcard home; learn about rationing and buy items from the shop with old pennies. 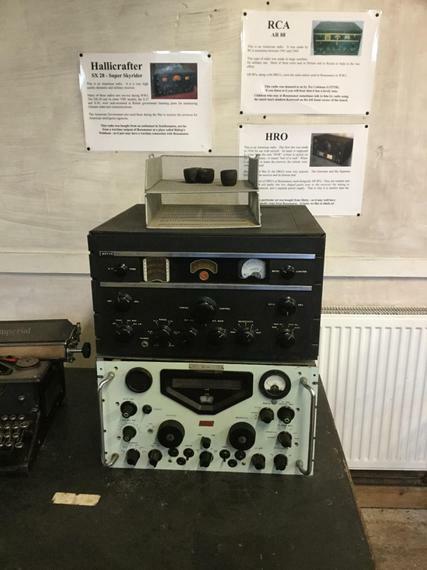 During WW2, Beaumanor Hall was a spying listening station which passed on coded messages to Bletchley Park. 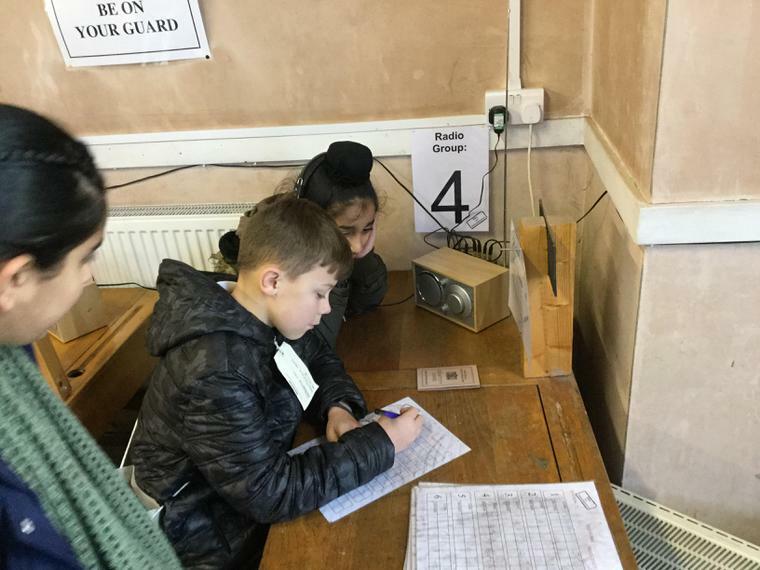 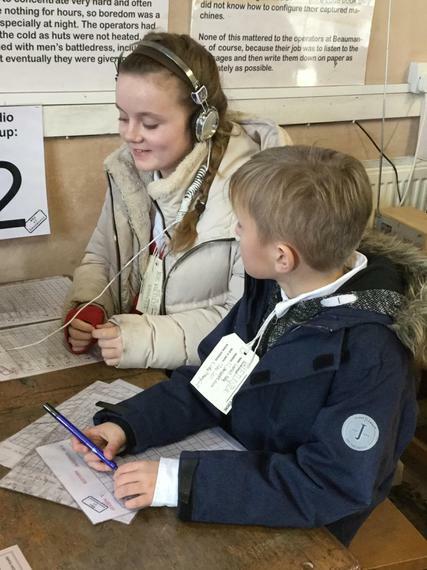 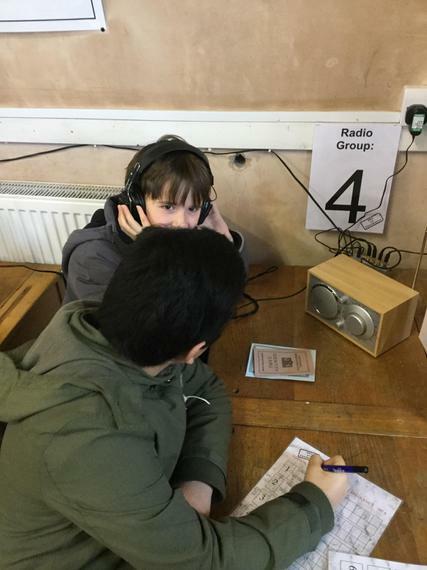 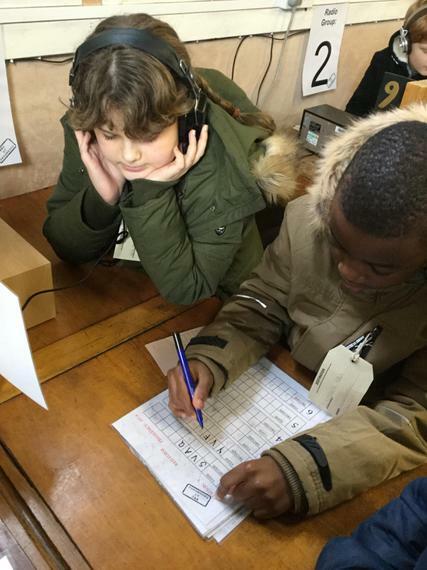 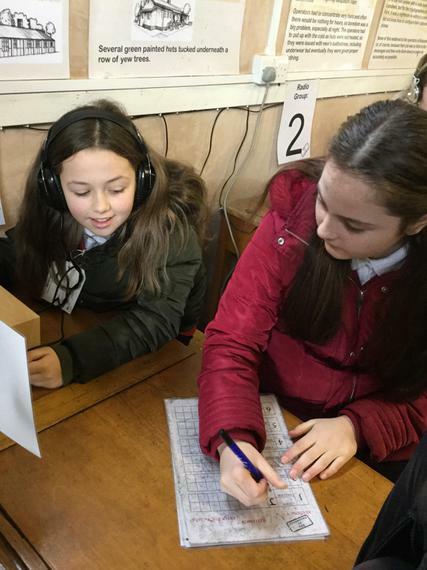 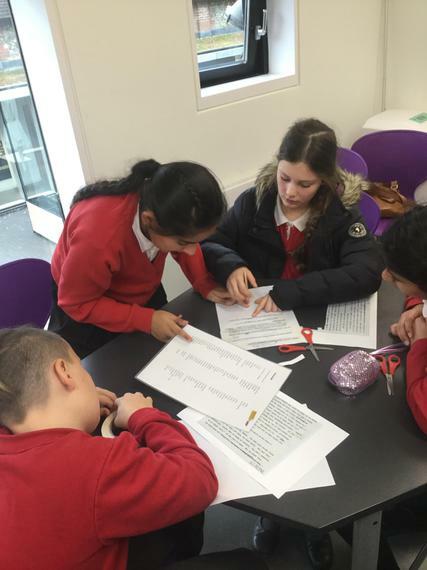 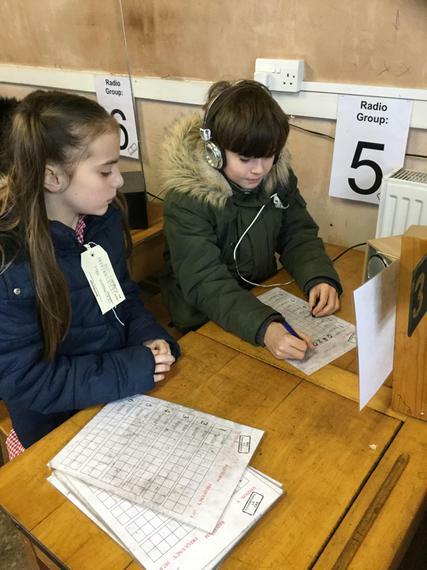 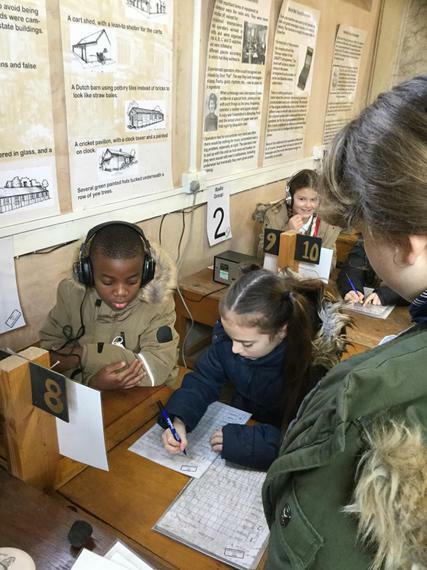 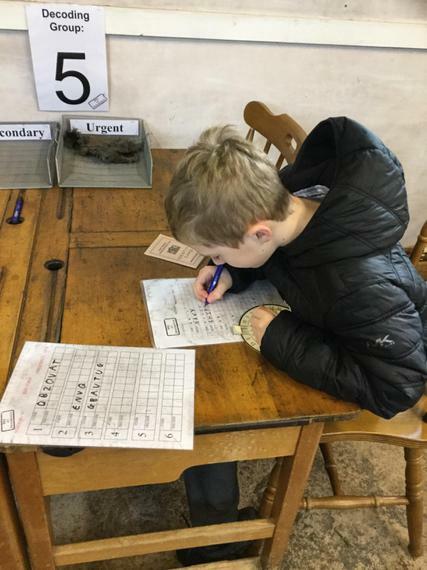 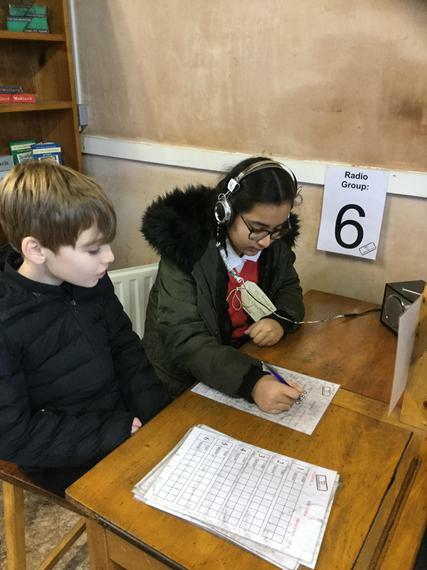 We all had a go at listening and writing down messages we heard over the radio and then passing them through to the decoding team in the next room. 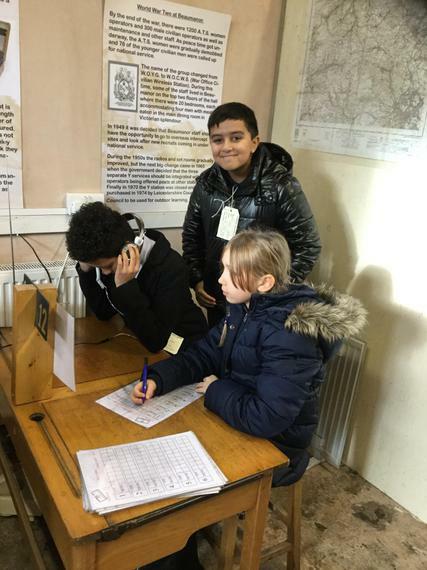 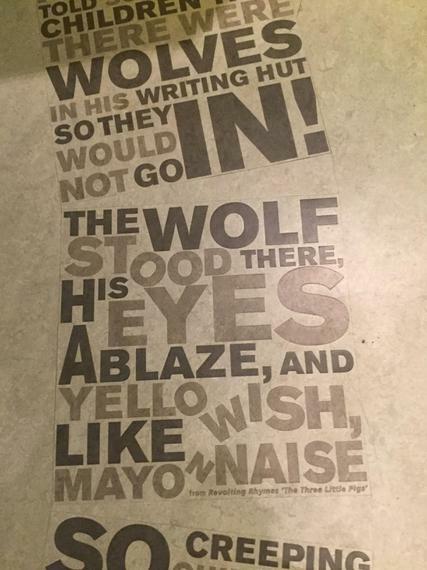 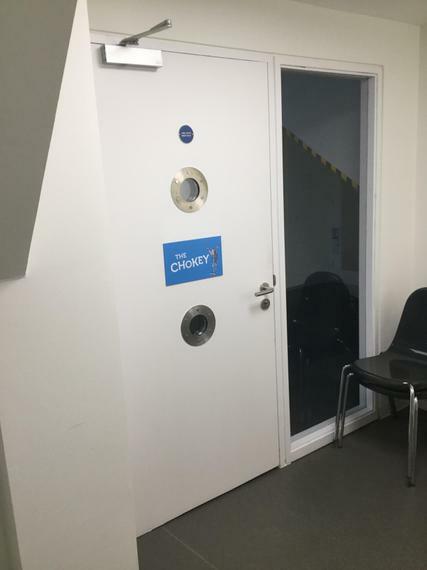 We did this activity in one of the rooms actually used for this during the war! 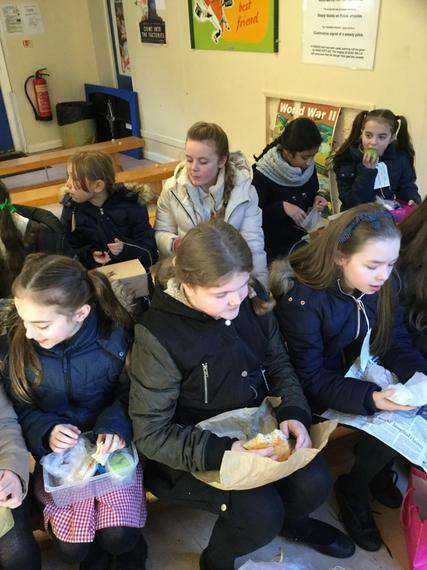 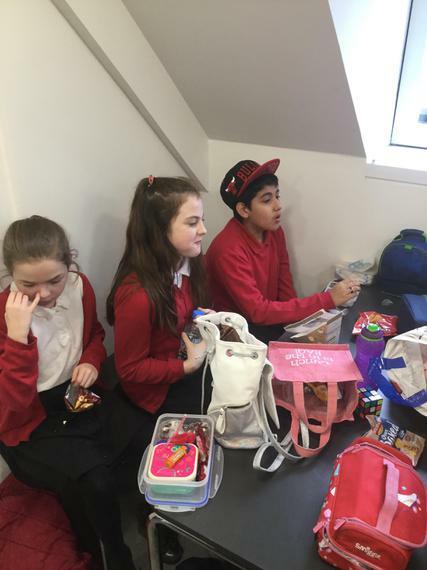 We took packed lunches of cheese or jam sandwiches and fruit. 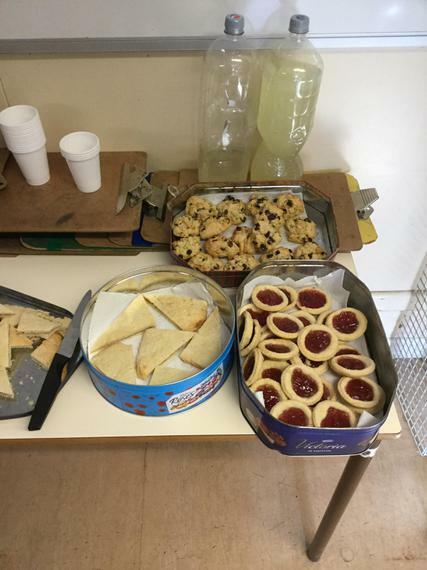 There was real lemonade and a range of small cake treats for us. 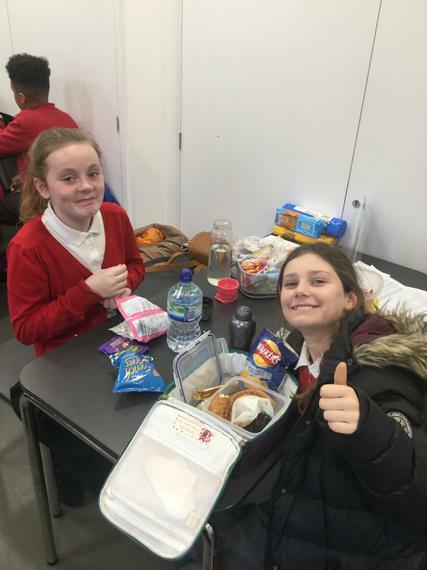 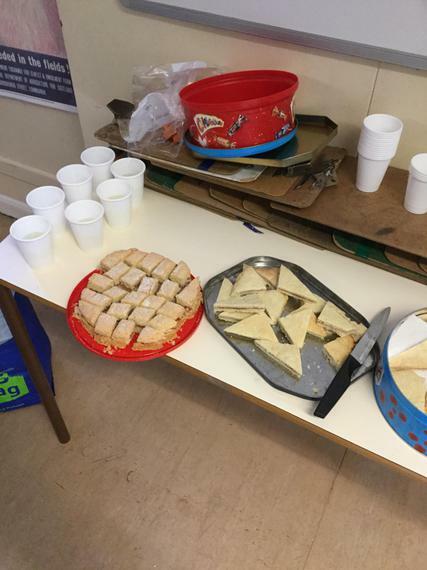 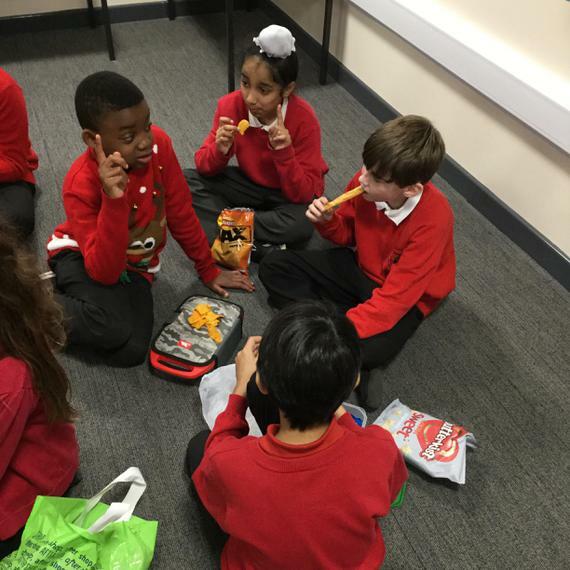 We had food which children in WW2 might have had with food rationing in force. 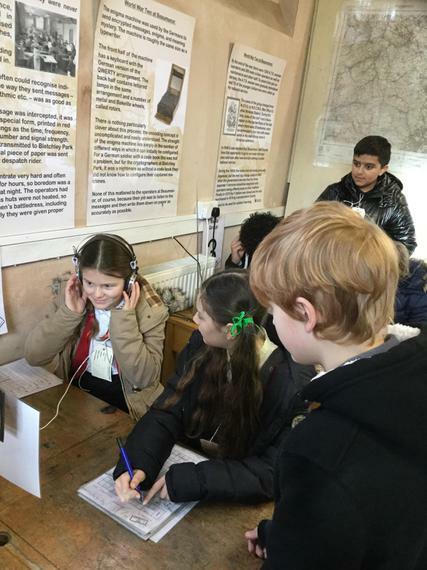 We sat in Beaumanor's bunker and experienced the darkness and sound effects of an air raid with our gas masks ready. 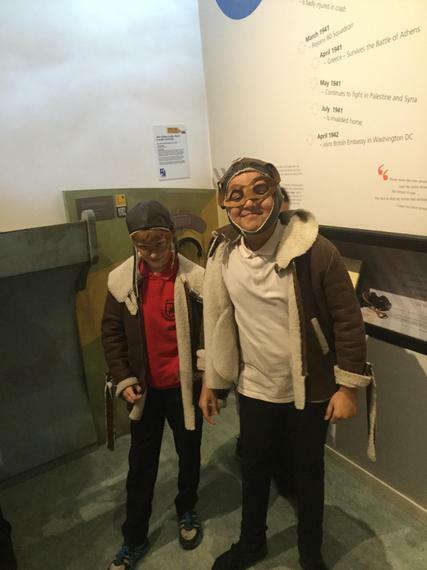 Some of us dressed up for the day or made some gas mask boxes. 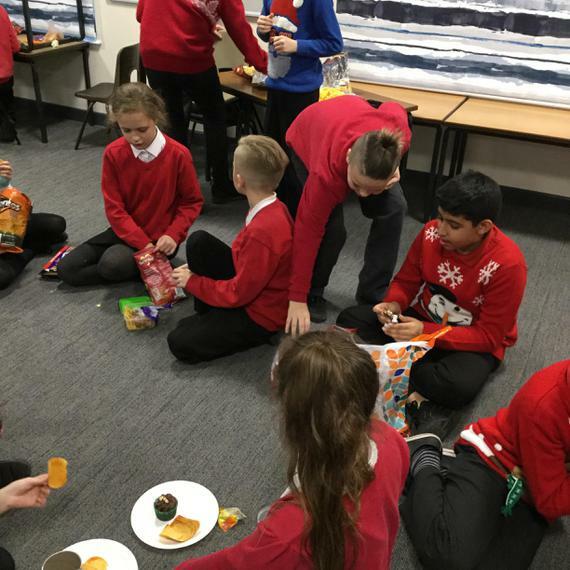 The last day of term and our party finally arrived! 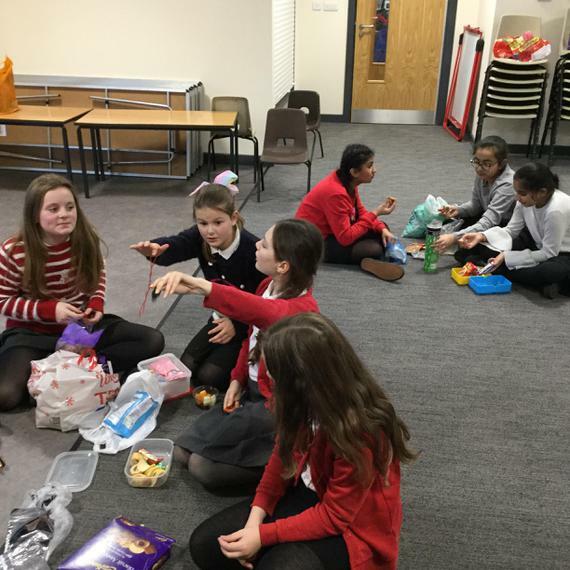 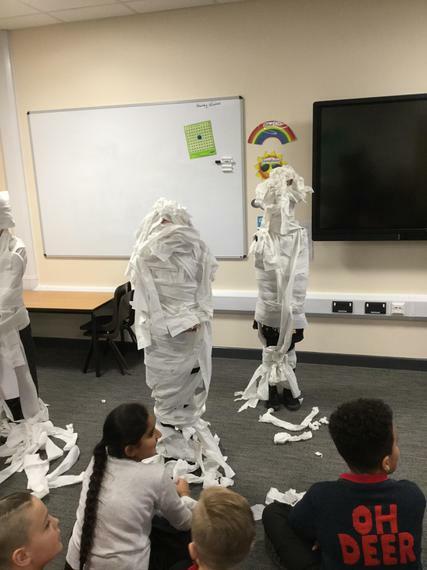 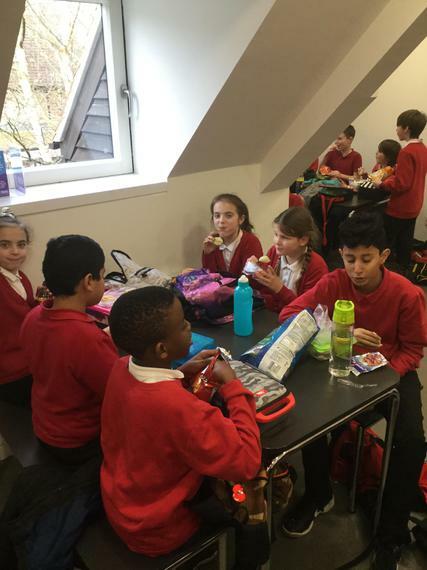 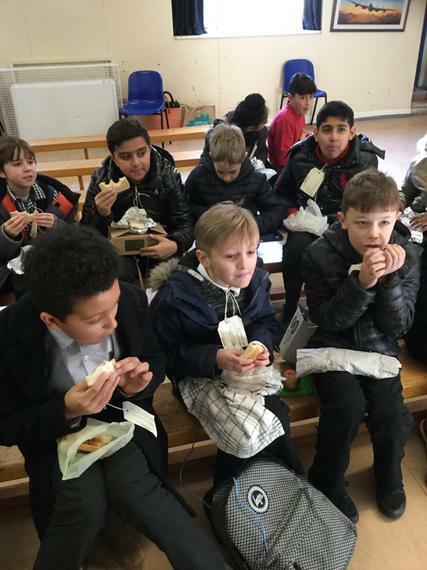 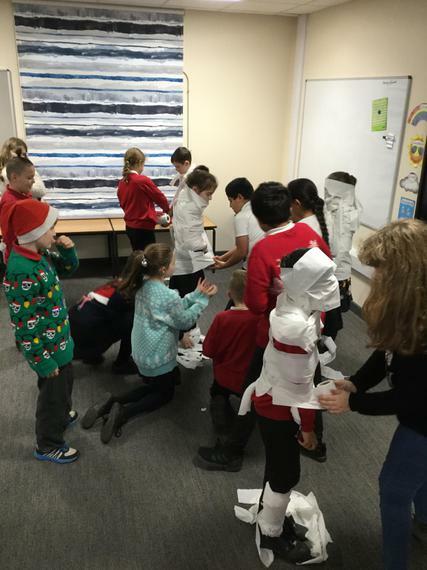 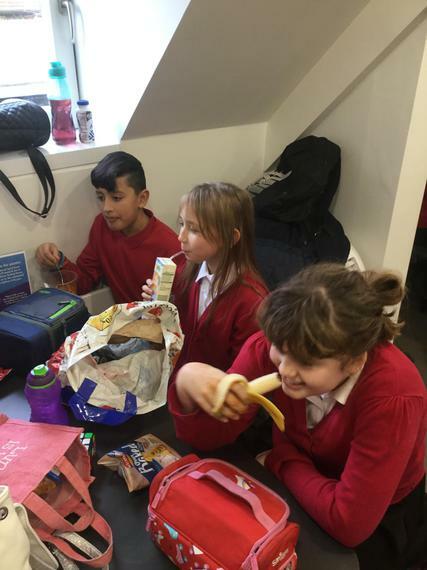 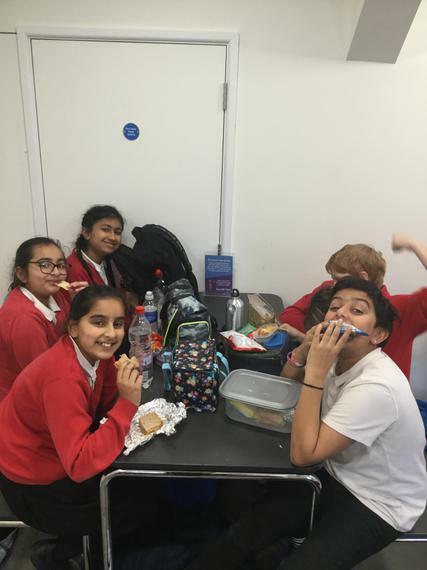 The games included Mummies - wrapping up a team member in toilet paper just like an Egyptian mummy and musical chairs - and of course there was food! 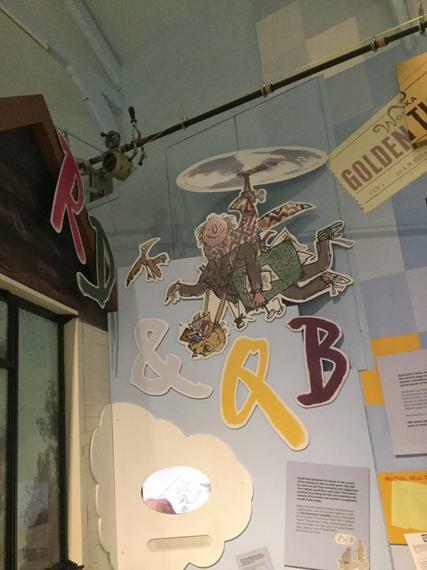 Our Christmas Cards featured our drawings in the style of Quentin Blake who illustrated Roald Dahl's books. 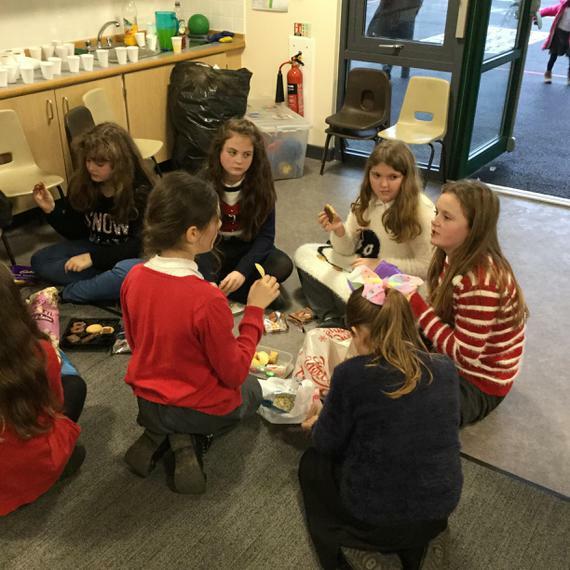 Here we are making our 'goodie bags' which contained hot chocolate mix and marshmallows! 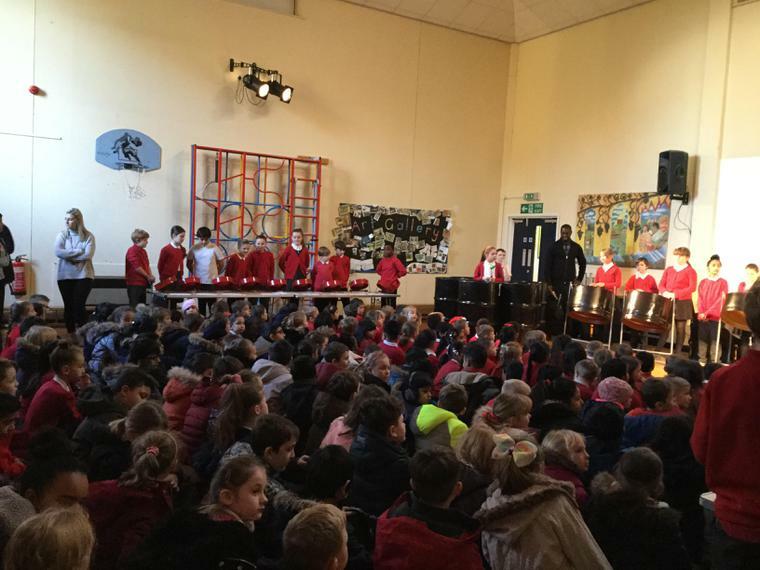 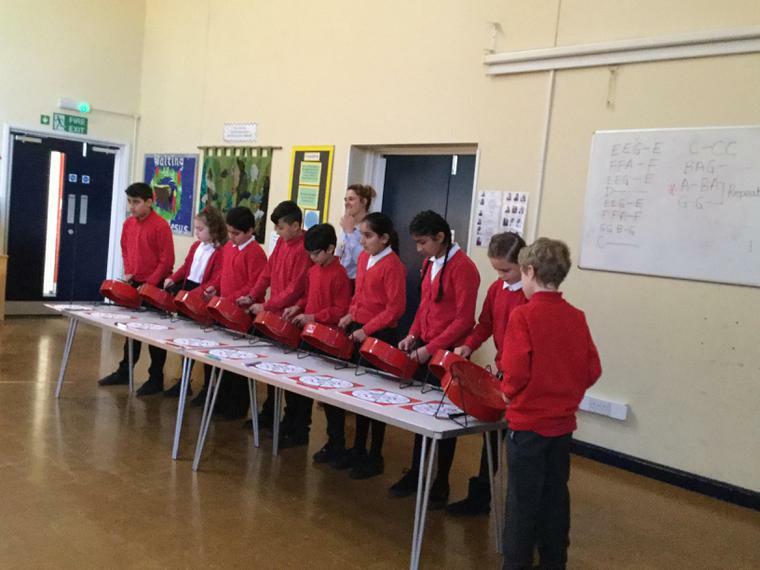 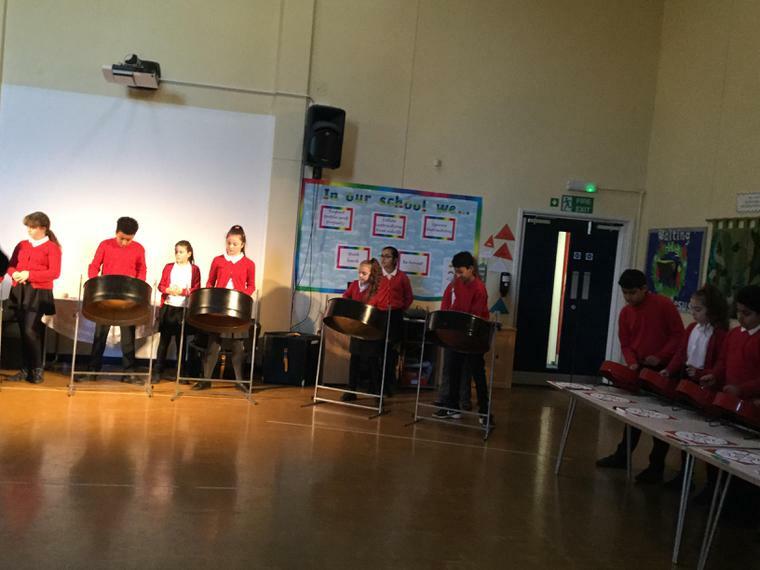 We have been learning to play the steel pans since last summer. 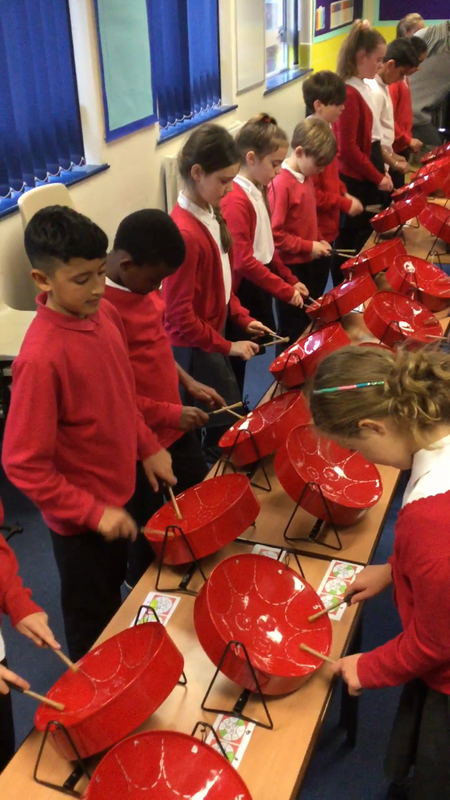 For the last few weeks we have been learning and practising 'Little Donkey'. 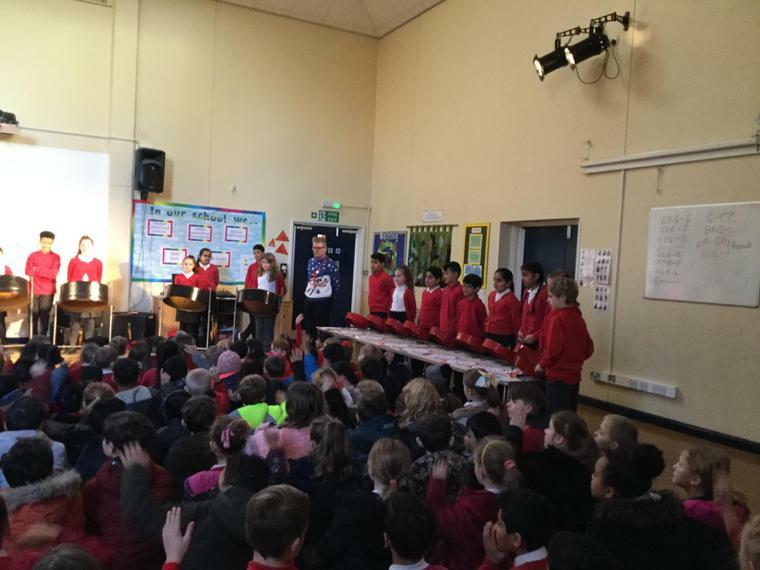 Here we are performing it for the school! 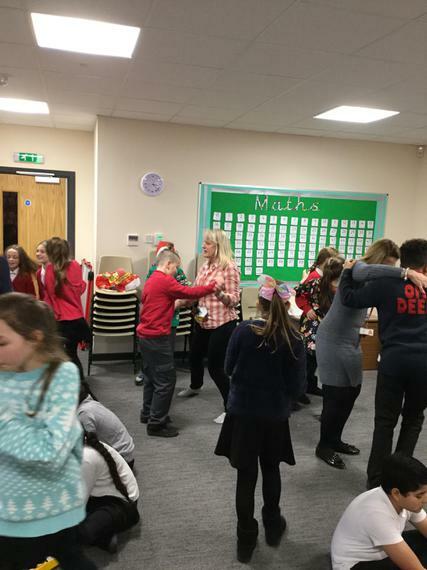 We hosted Netherhall School at the church for a joint Christingle Service. 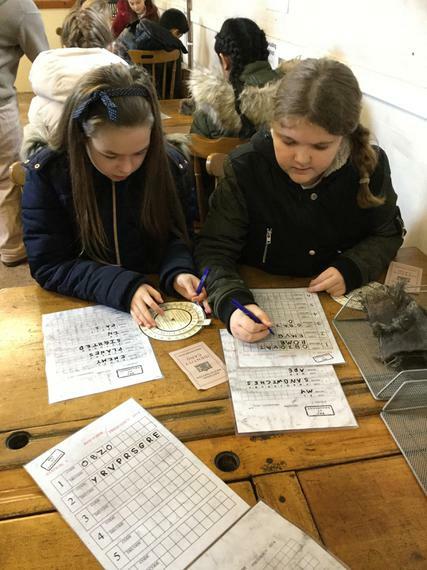  We had to learn to sign first. 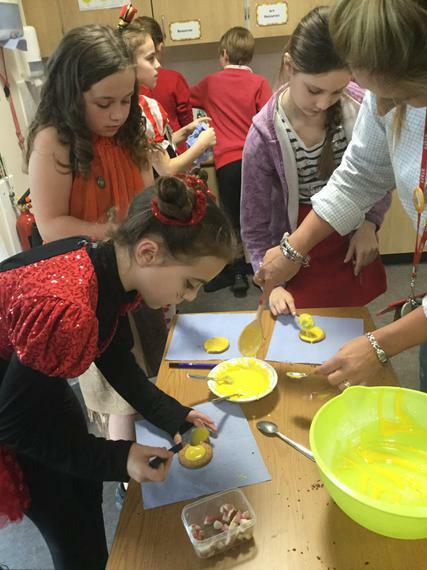 Lizzie also trained us to help make the Christingles and to serve during the service. 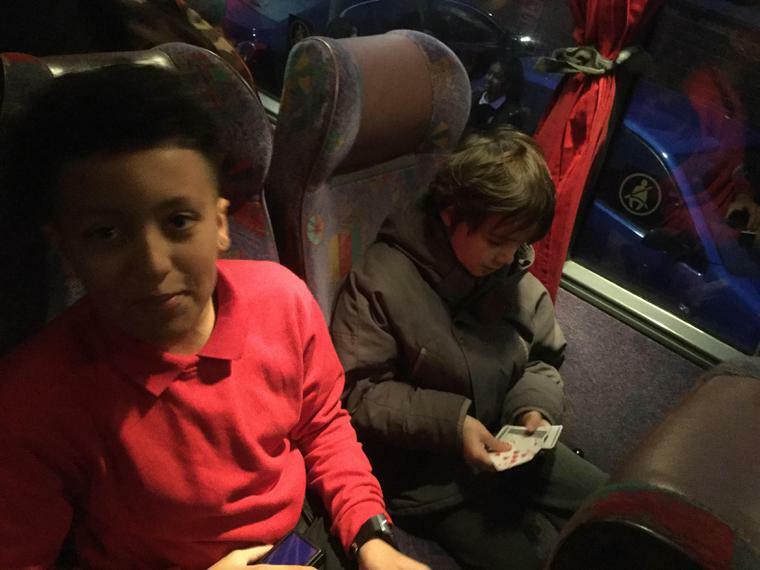 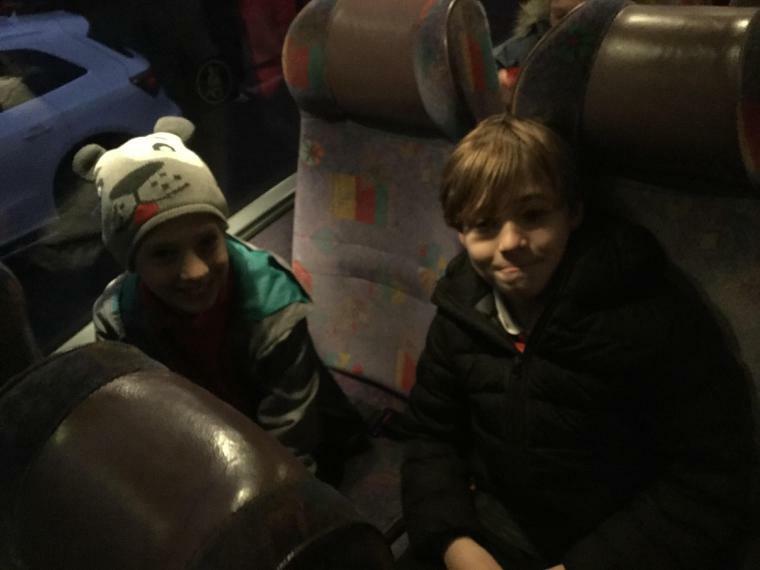 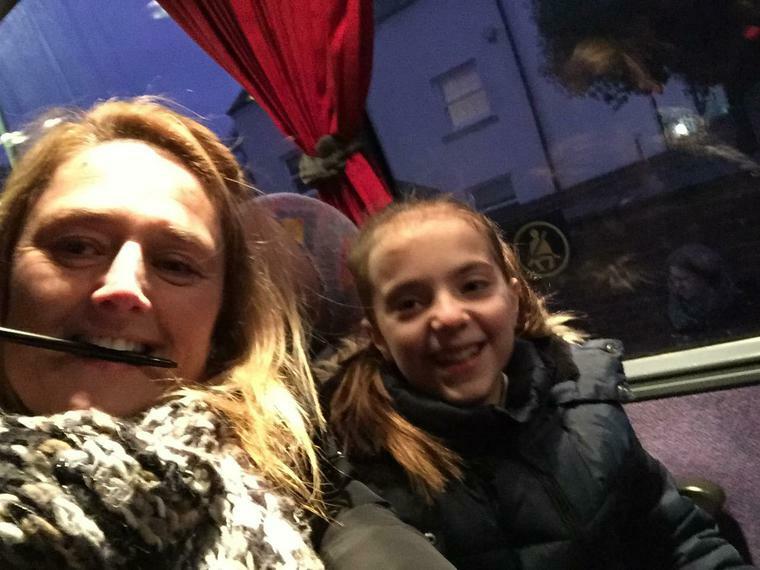 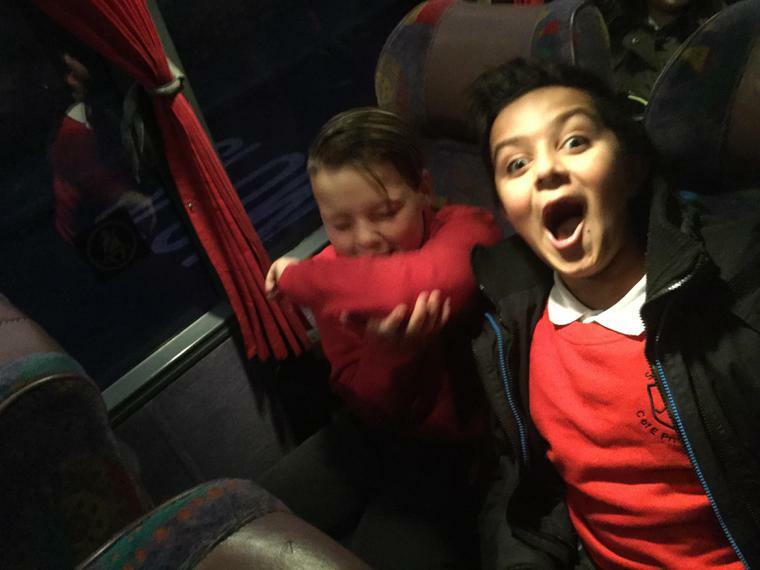 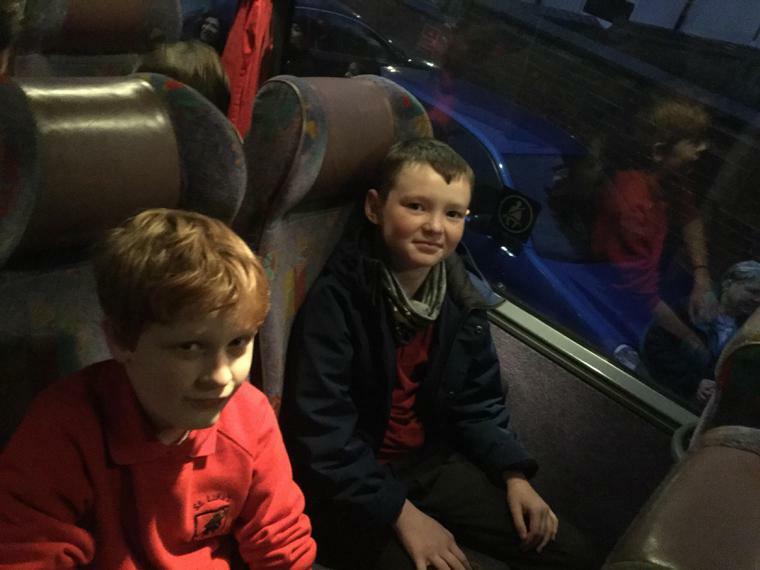 All the adults were proud of how we behaved and we even received a letter from the headteacher of Netherhall School. 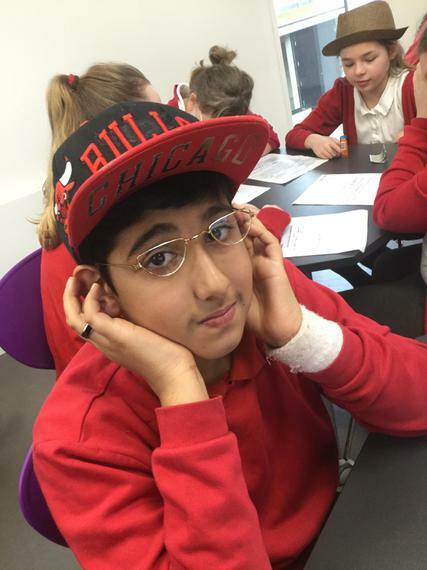 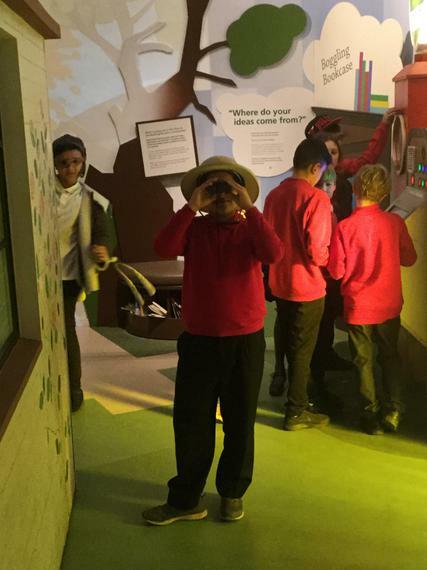 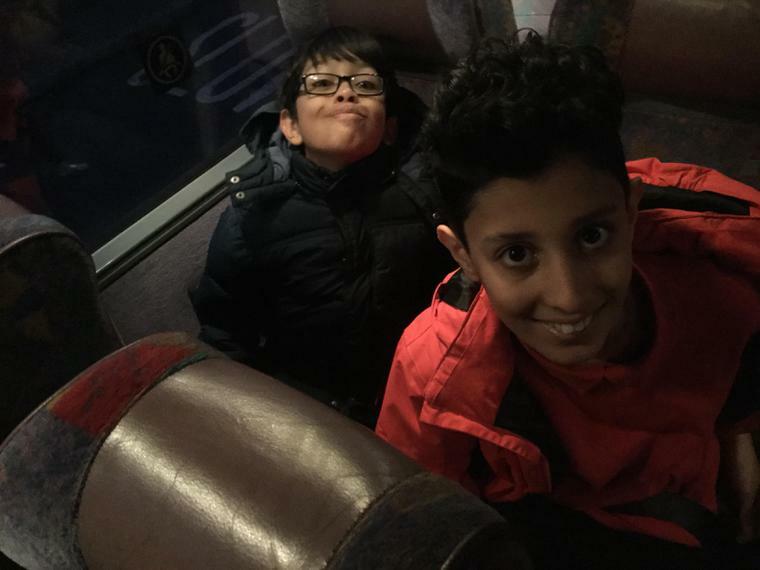 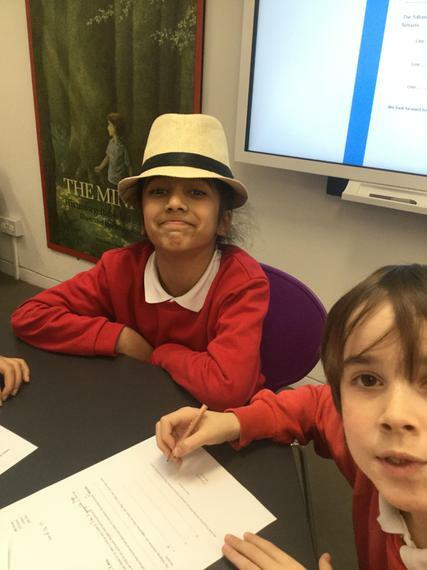 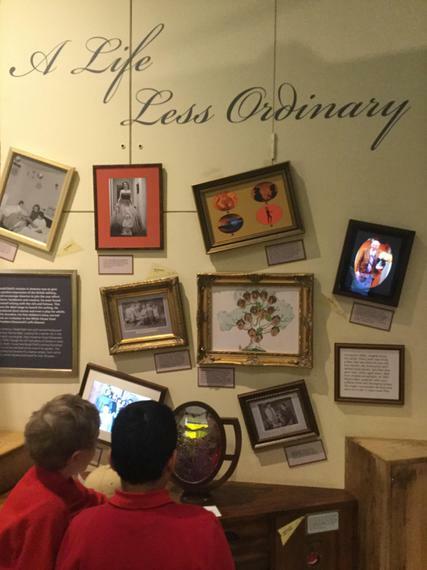 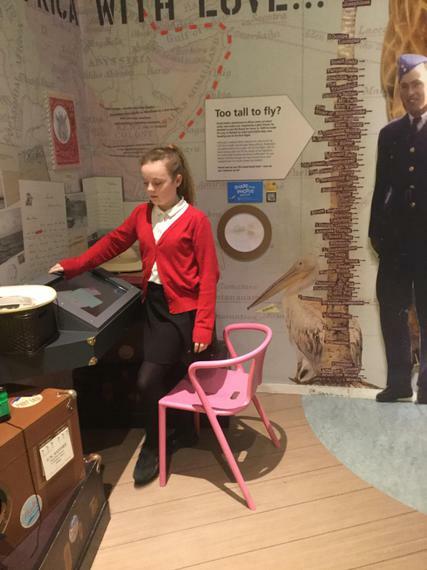 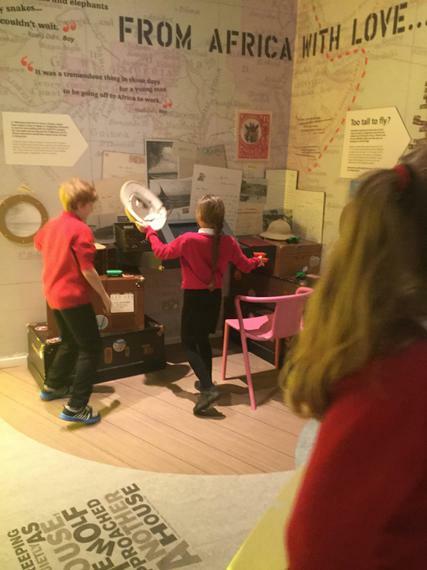 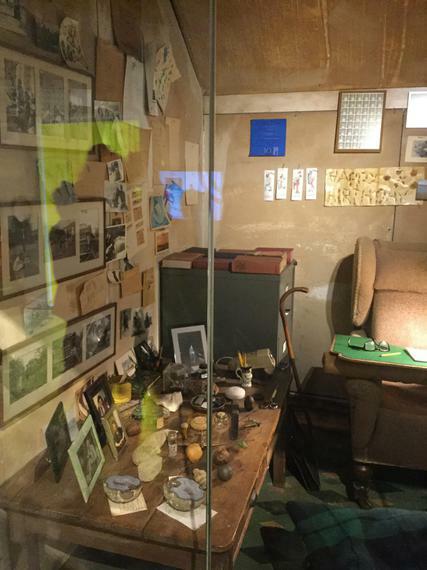 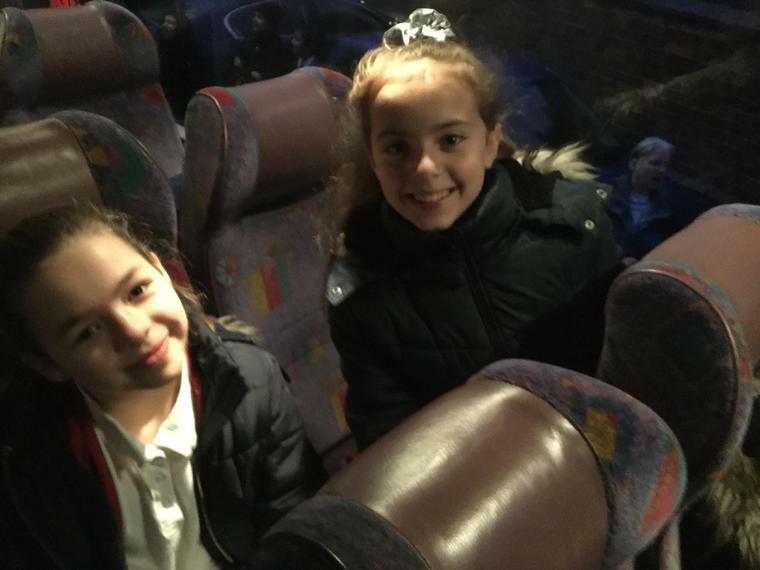 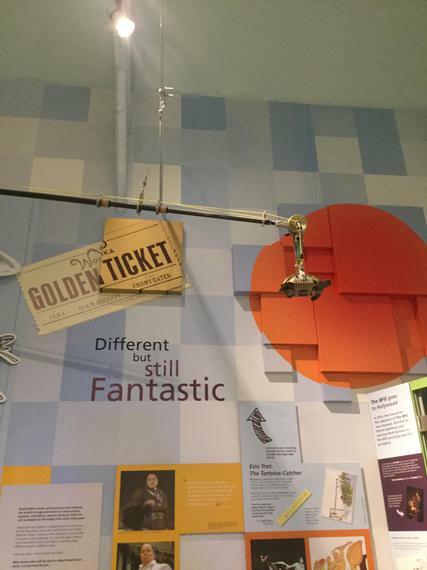 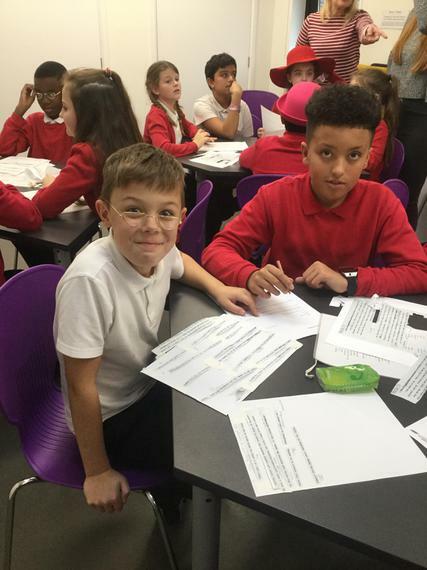 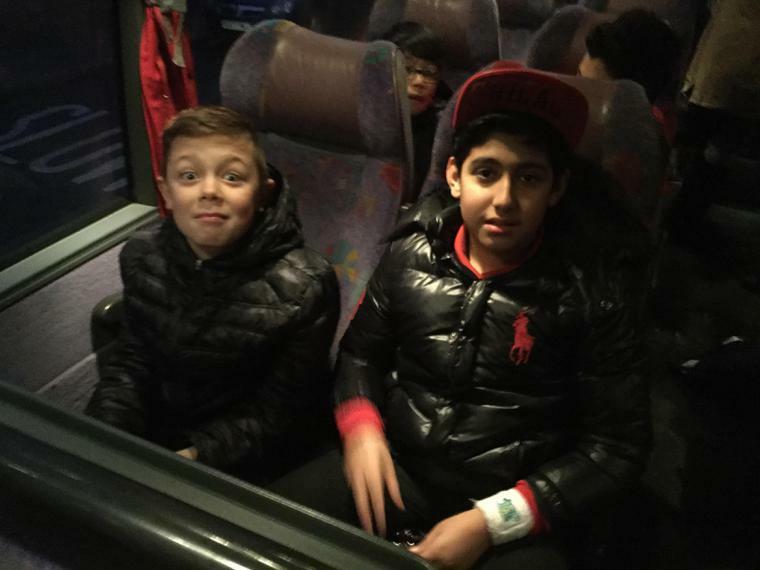 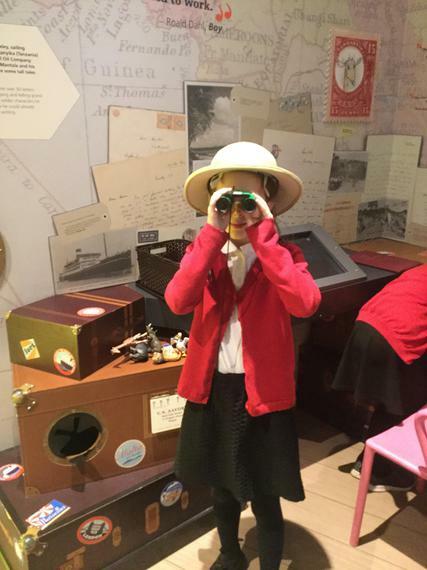 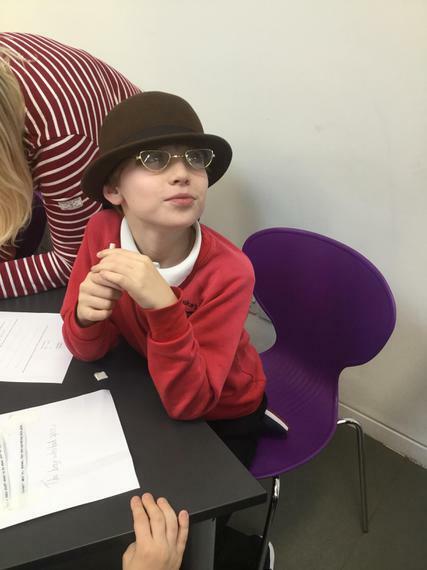 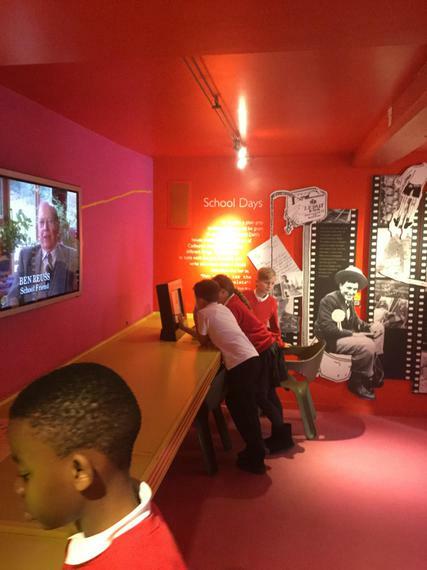 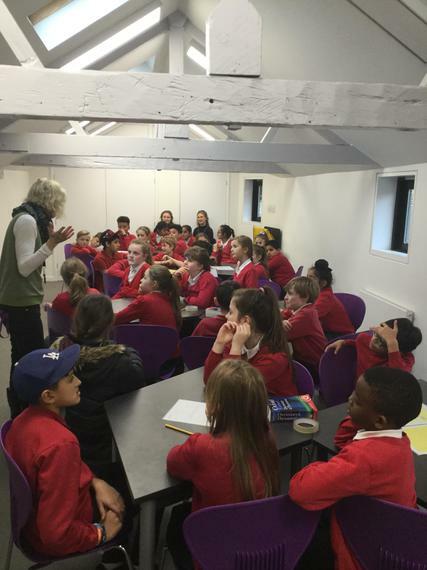 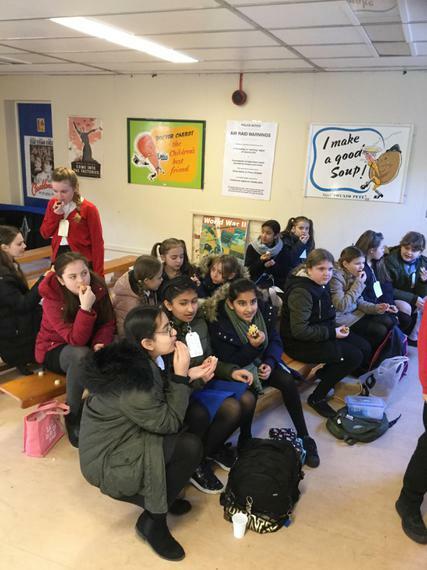 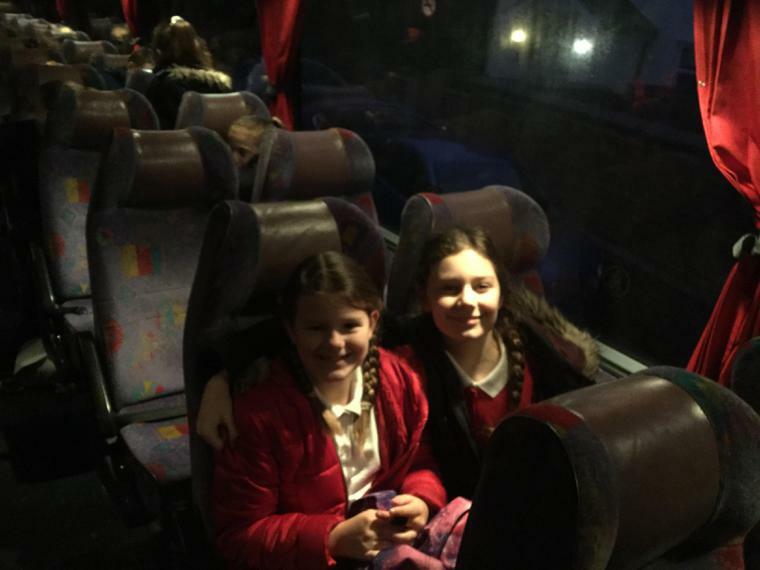 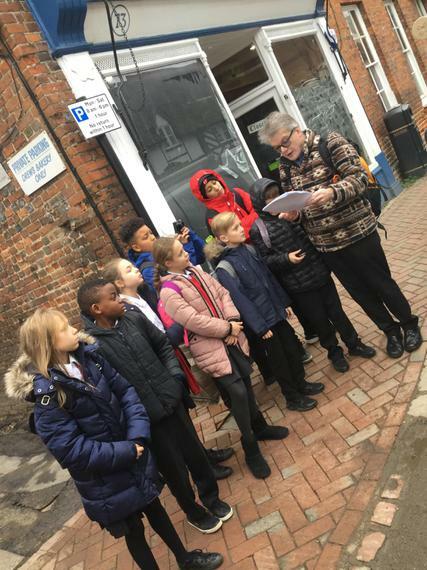 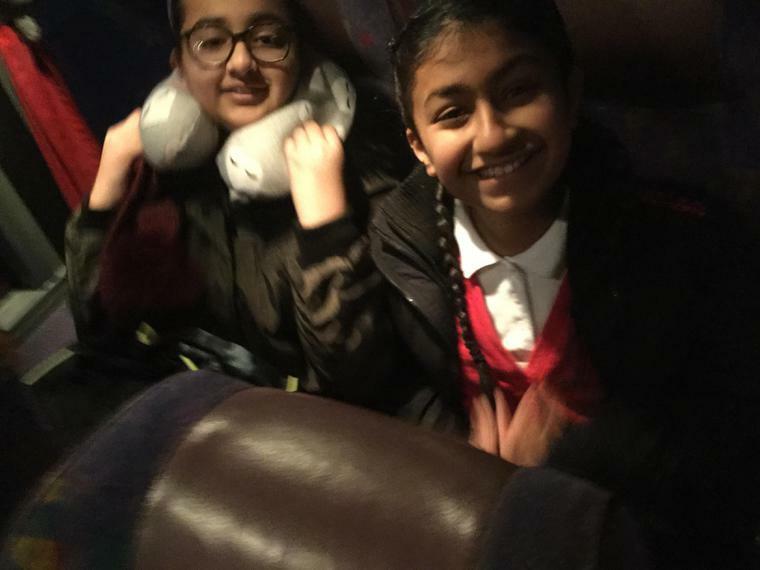 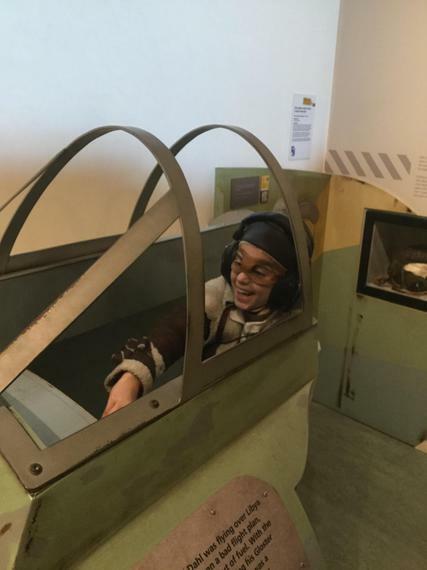 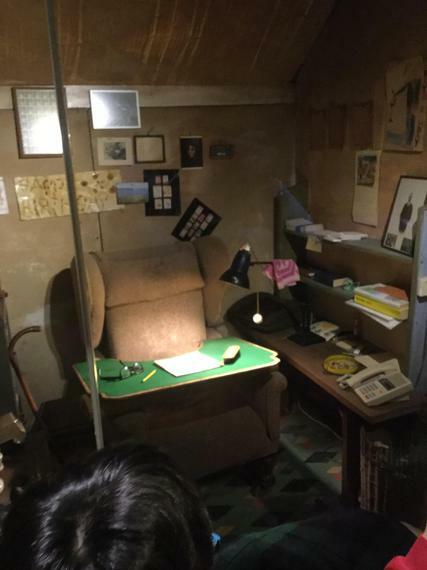 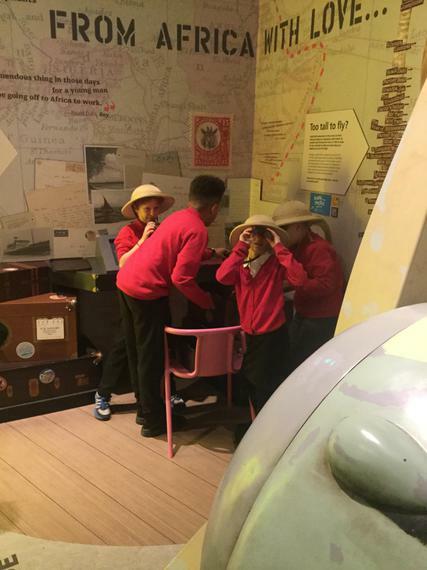 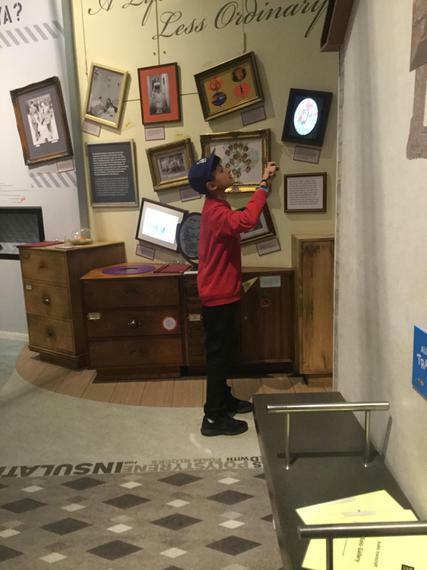 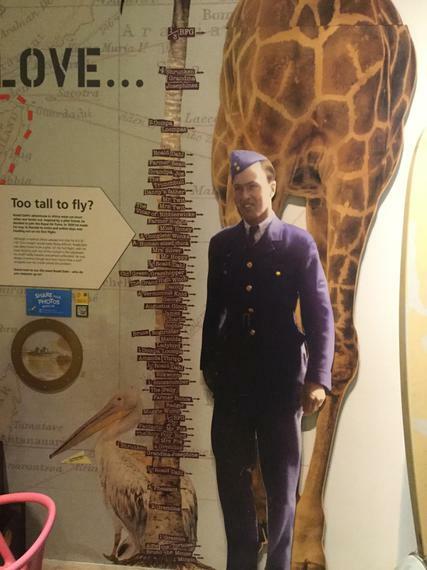 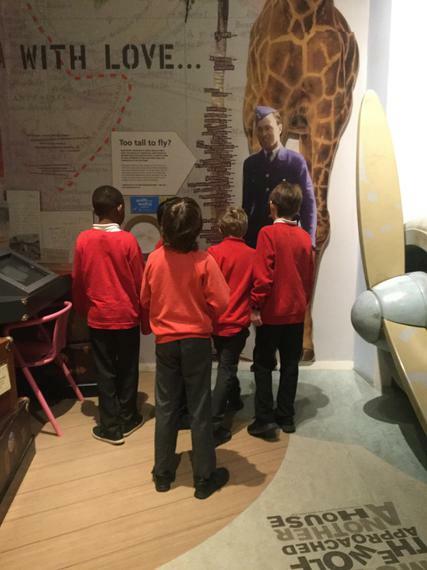 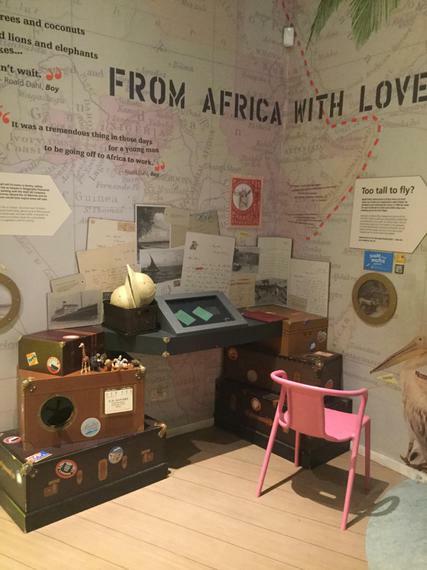 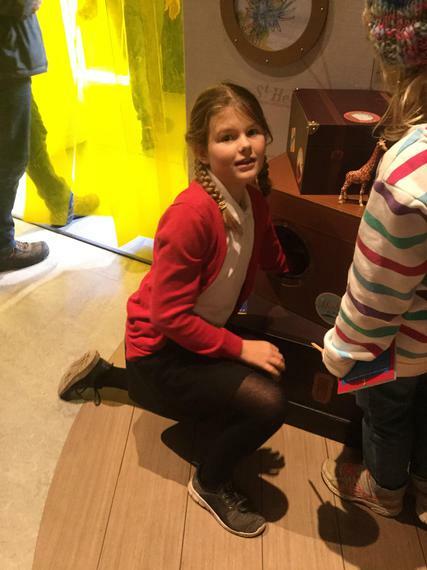 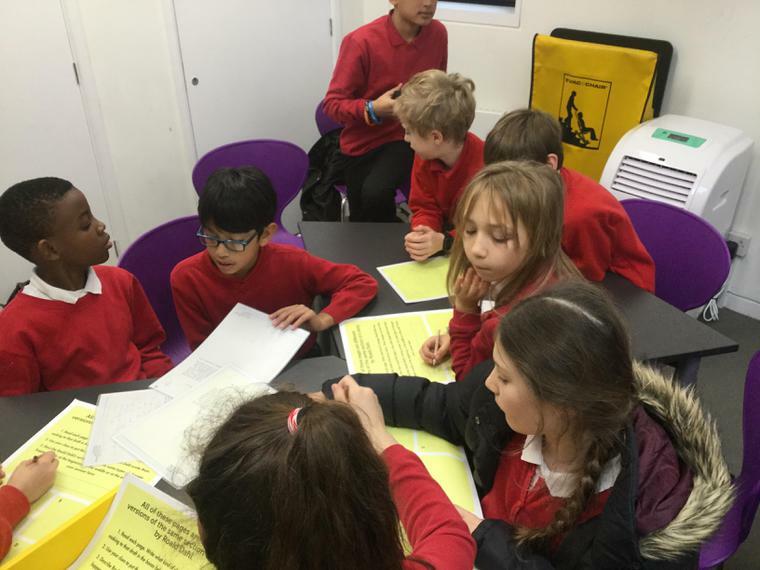 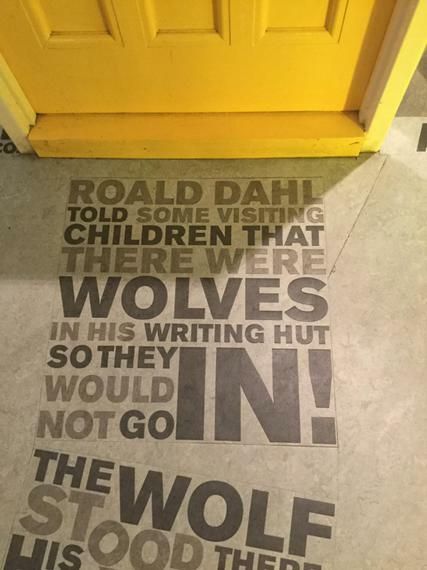 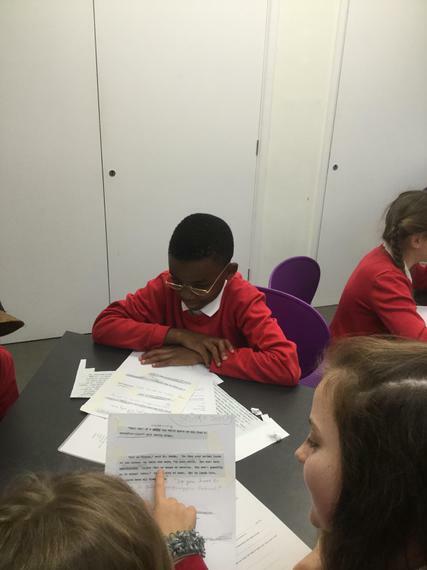 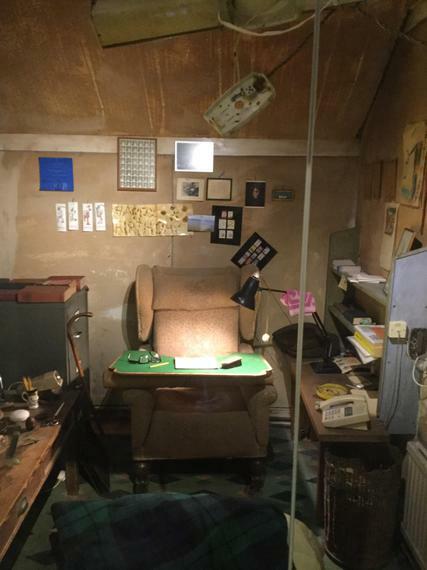 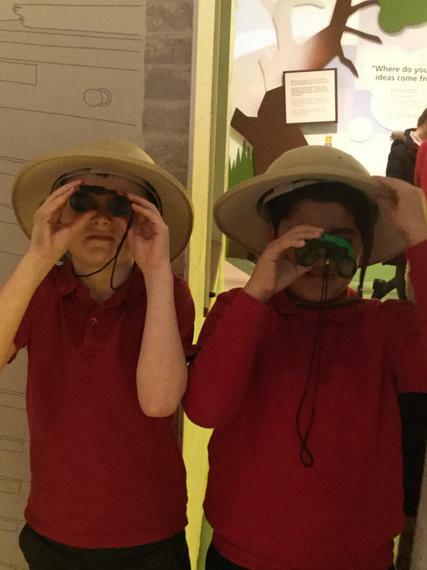 Year 6 trip to the Roald Dahl Museum. 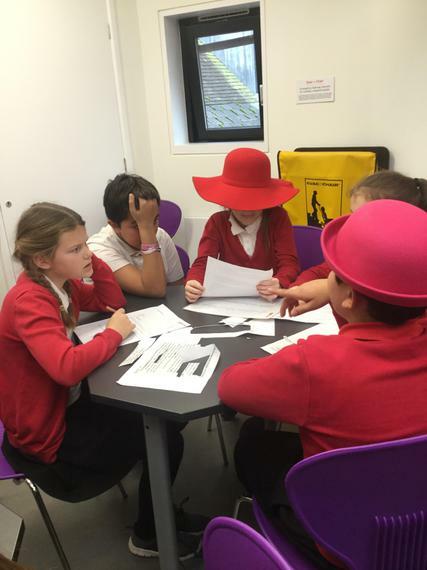 We were given a challenge to solve a problem - who had committed the murder? 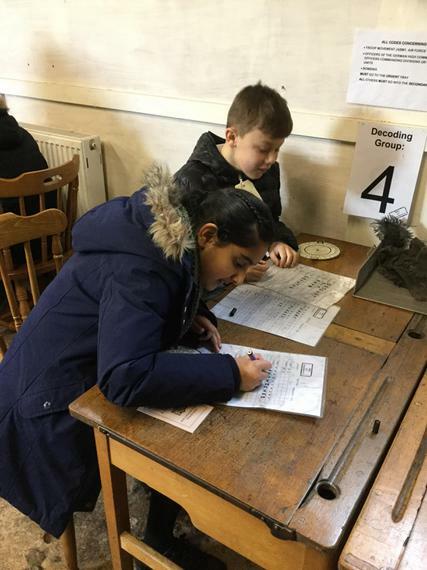 We were given a number of clues and had to work systematically to find out who did it. 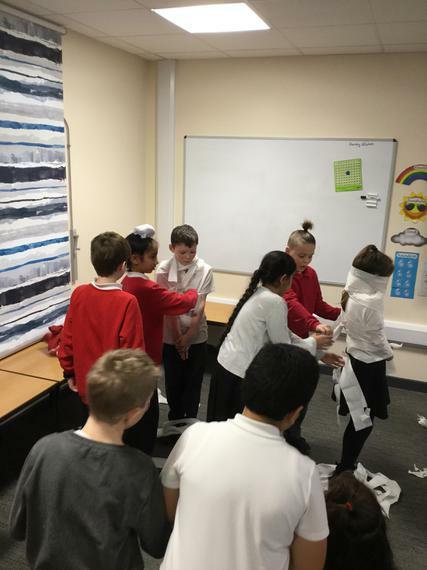 We acted out various scenarios to help us recognise and have the confidence to deal with bullying behaviours. 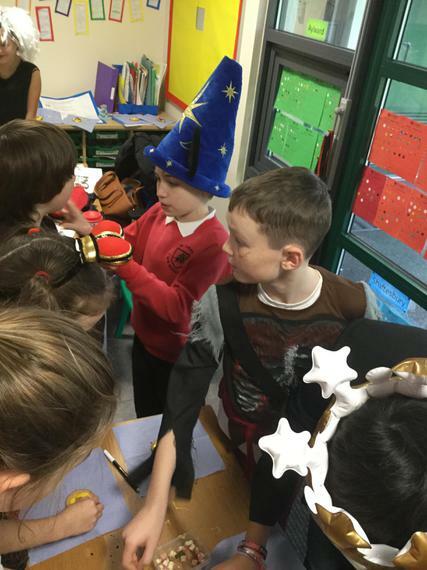 We dressed up for the day! 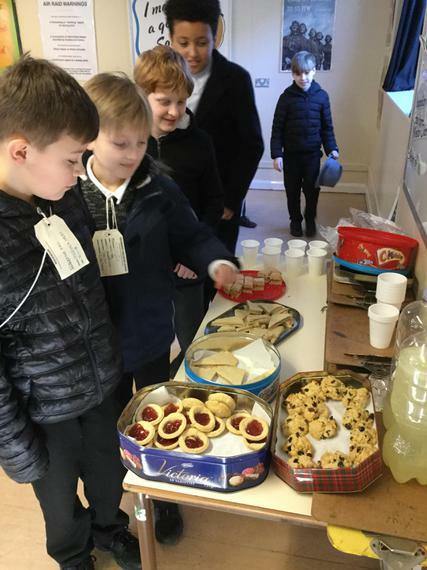 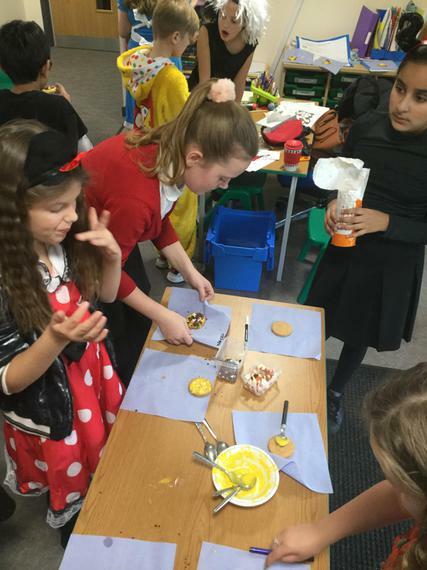 We also made some cookies to sell to the other children to raise money! 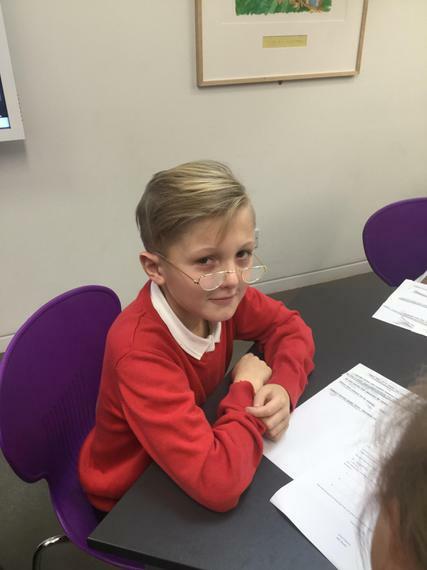 Alex from Leicestershire Libraries Services spent some time in class today (6 Nov 2017) telling us about some brilliant fiction books he recommends to inspire Year 6s. 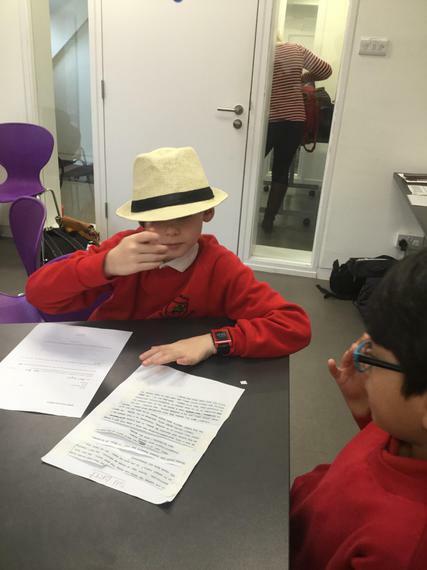 He read some extracts from many of the books. 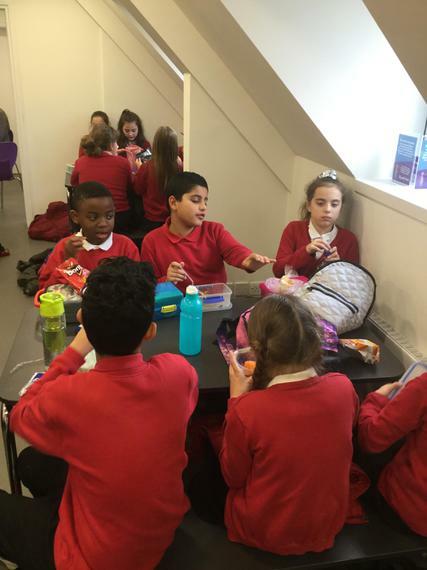 The great news is that we have 2 copies of each book - brand new - on loan to us for the children to borrow! 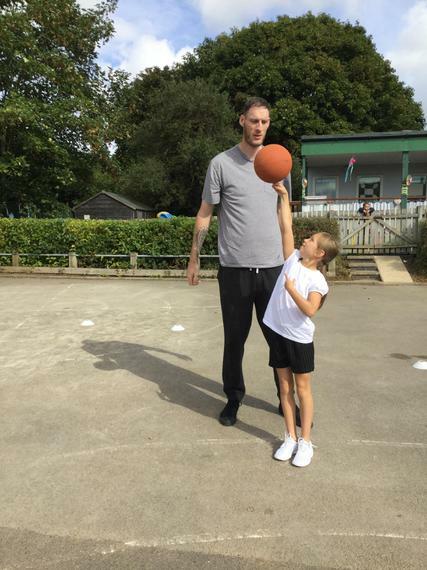 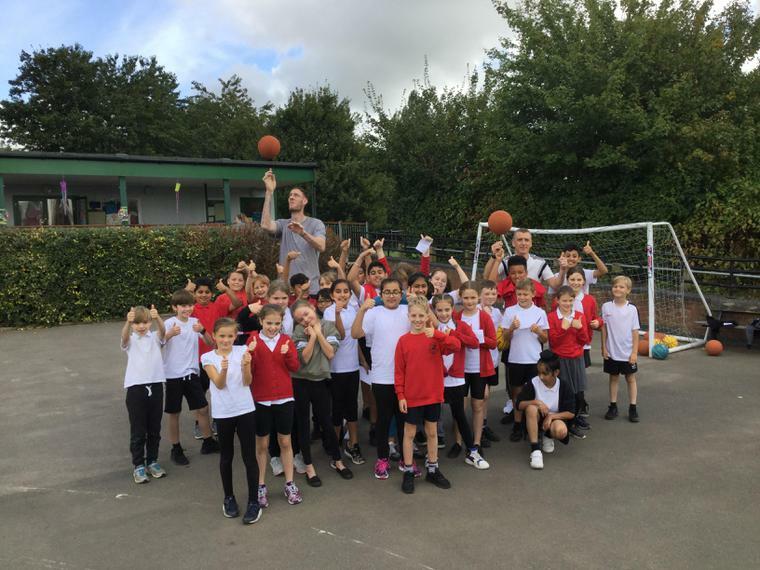 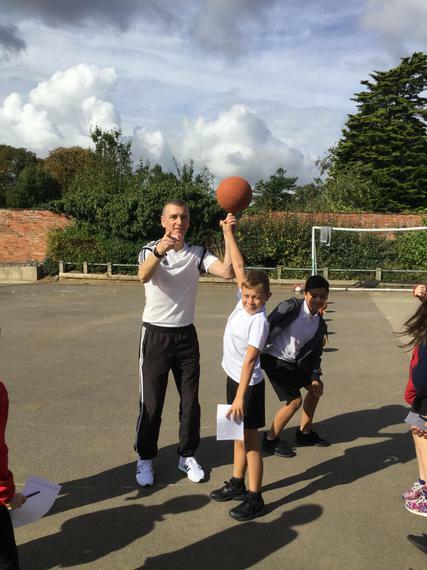 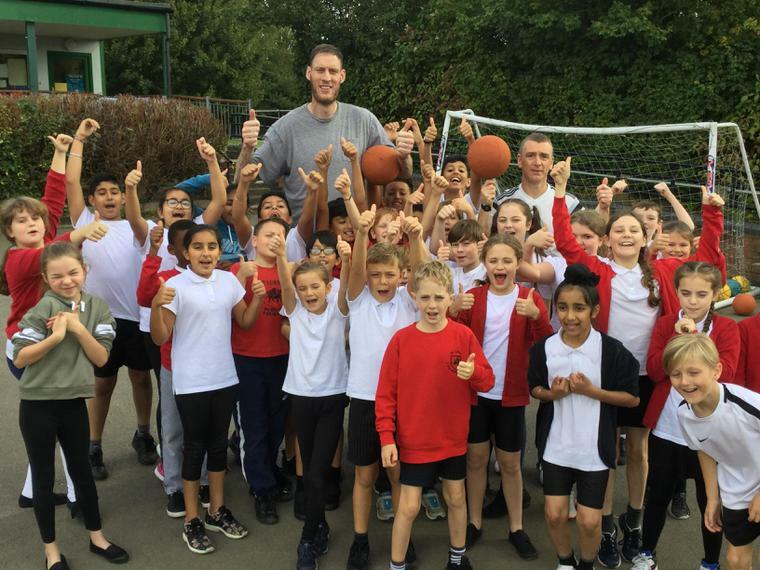 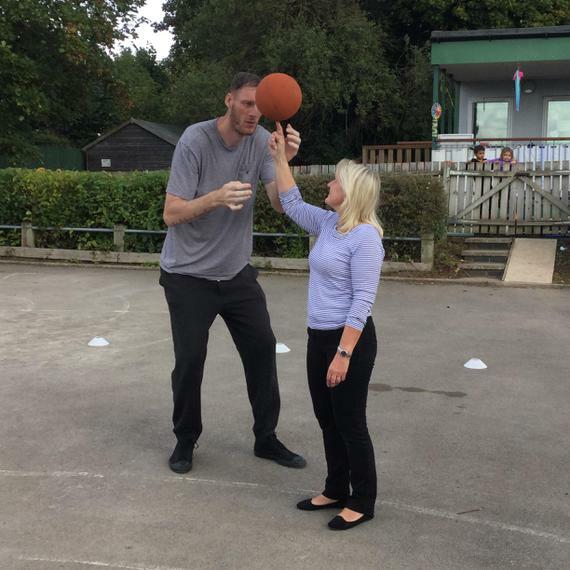 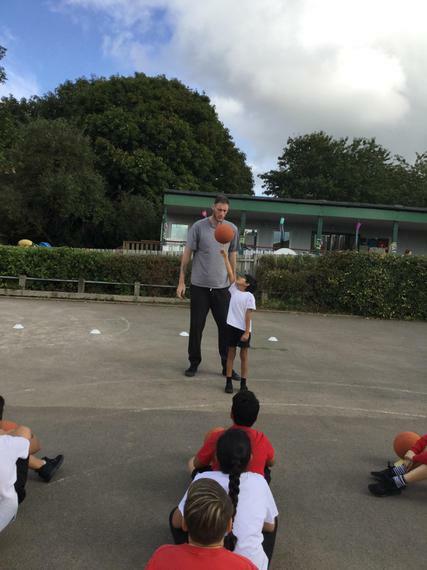 Paul Sturgess and Mark Waters put on a stunning day for the school! 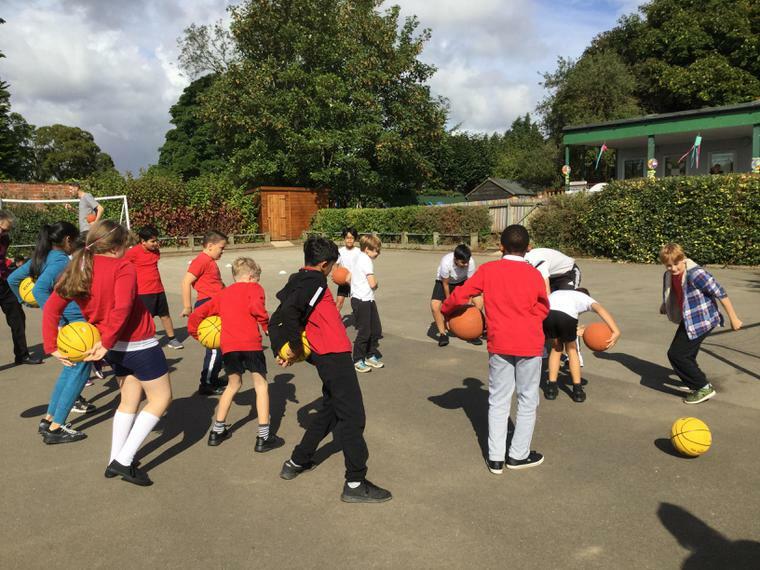 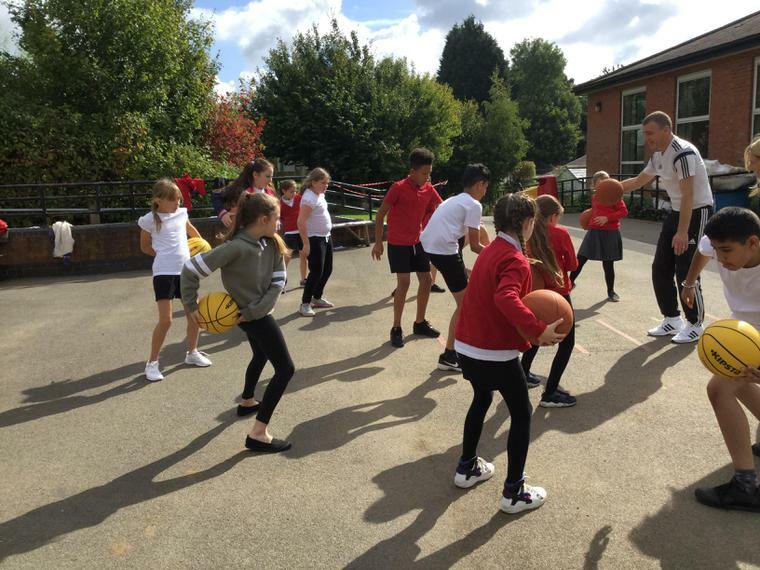 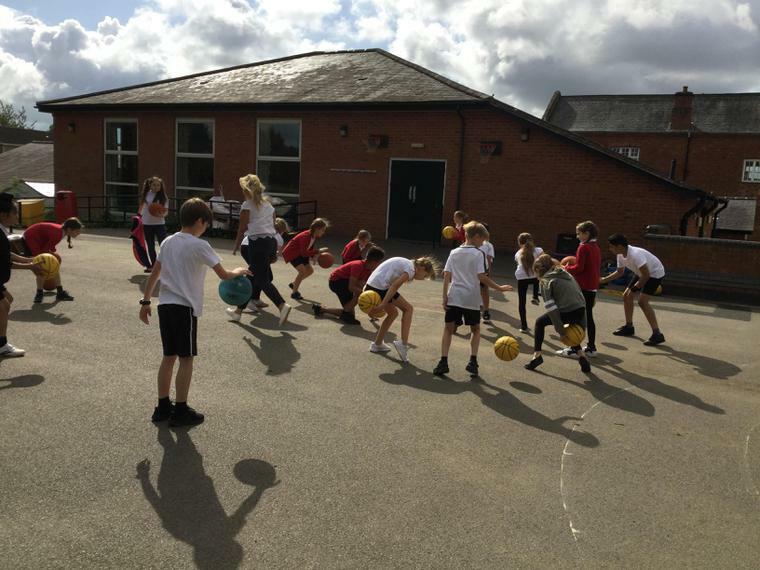 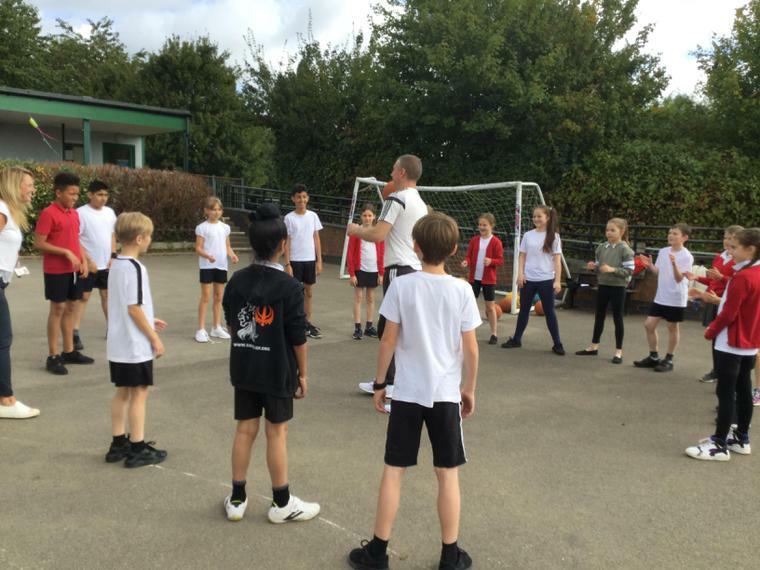 After their assembly first thing in the morning, our class spent half an hour with them not only being entertained by practising skills and playing great games. 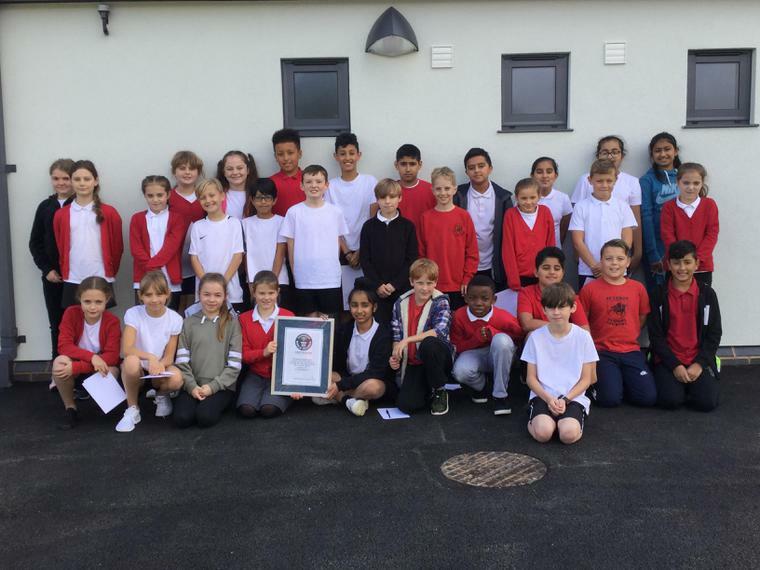 At the end of the day, the whole school gathered for a farewell photo. 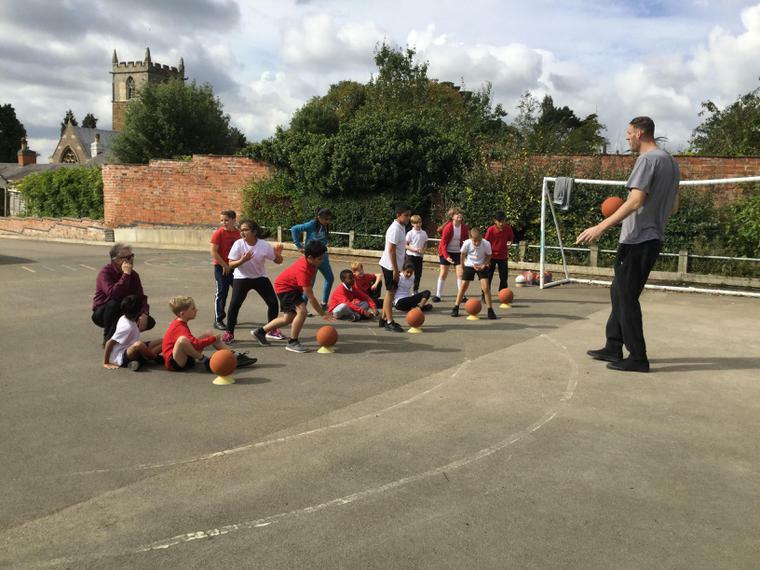 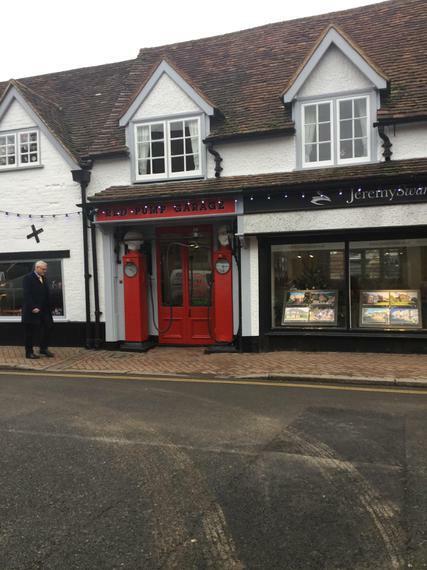 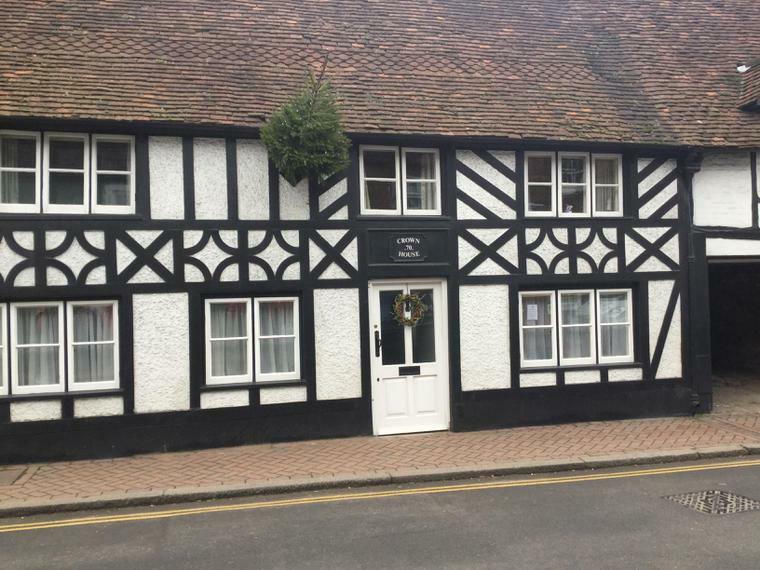 For more information about Paul and Mark, click here. 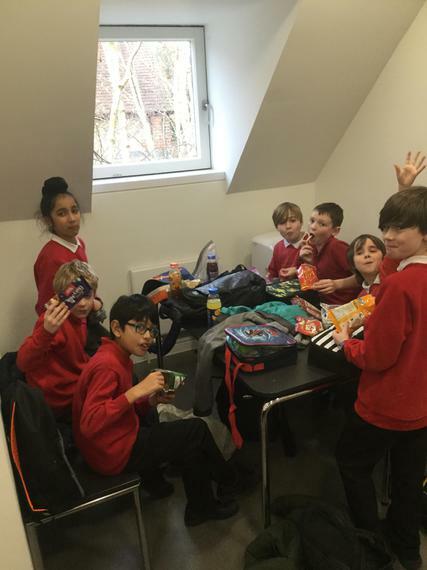 St Luke's Hall became the jungle when a visiting theatre company put on their version of Rudyard Kipling's classic 'The Jungle Book'. 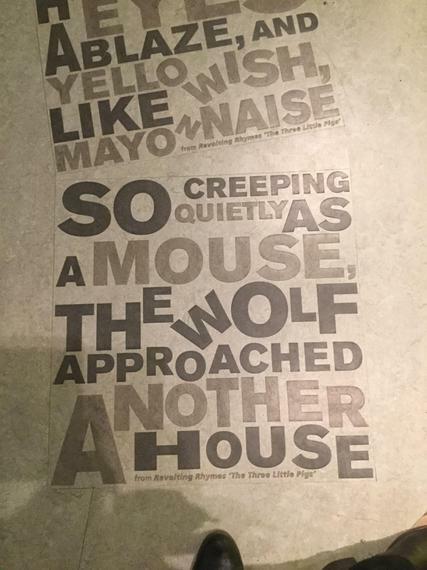 This was a book we have recently read in class and studied as well as watching the film. 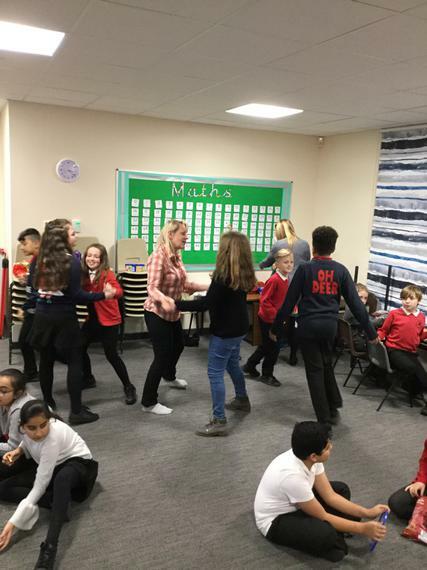 Everybody thought it was brilliant and the good news is... they're coming back to perform again later in the year and ... even better... Year 6 will have a workshop session with them, the chance to learn about putting on a show- the lighting, scenery, props etc. 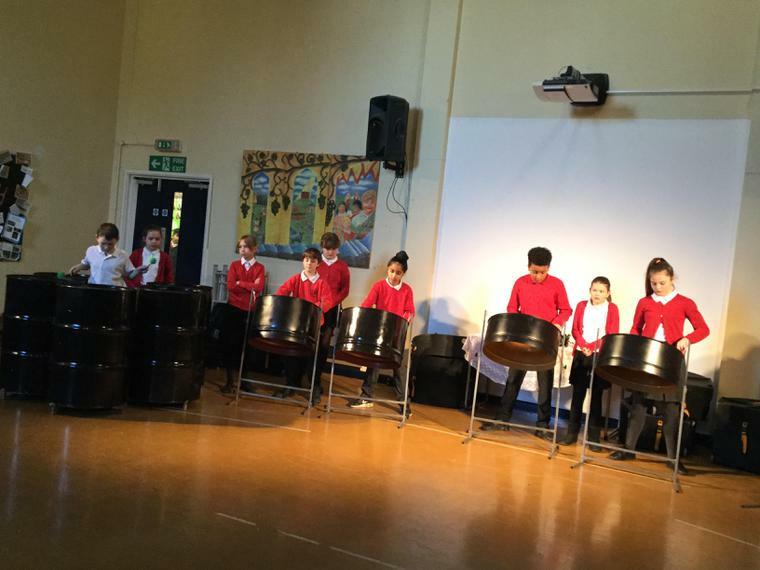 That will be just in time for our end of year show!